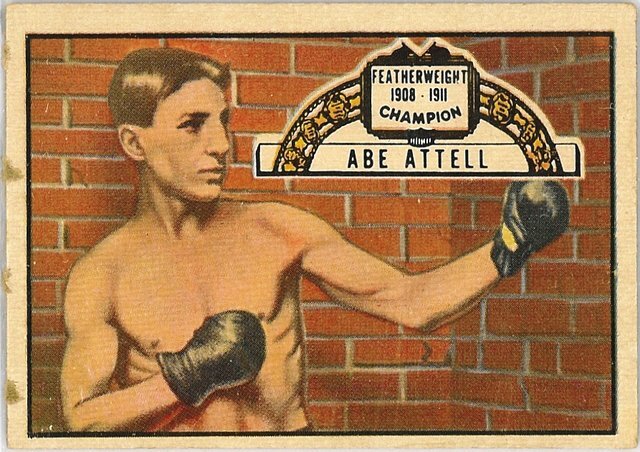 1951 Ringside Abe Attell. This set was Topps’ sole full-fledged venture into the boxing market. The 1951 Ringside set was issued in two 48-card series. The second series is roughly twice as hard to find as the first series.